A painter and sculptor, Hutton’s work focuses on transformation. The work is expressionistic in style, surrealist in content and includes representational and abstract elements. She paints predominantly in oils and sculpts in wax, copper and stone. 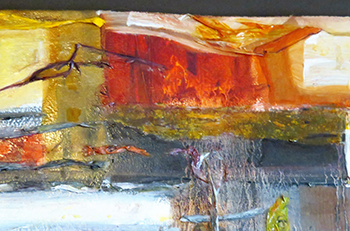 She also uses such unusual media as gels, netting and tissue paper to add texture and dimension.